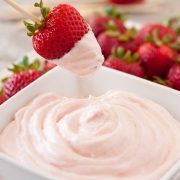 A perfectly tempting easy to make fruit dip that will leave everyone craving more! 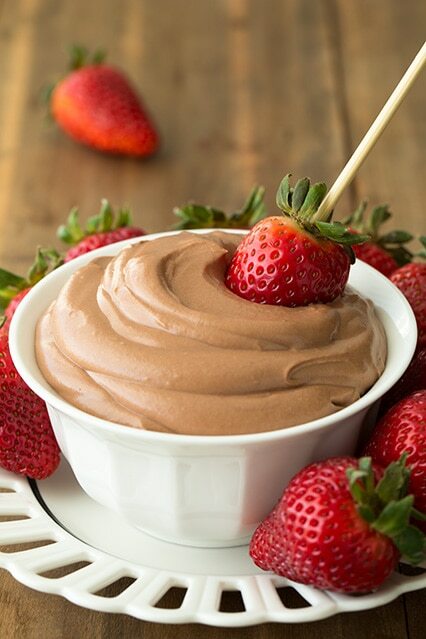 This is brimming with a rich chocolatey cheesecake flavor thanks to the irresistible Nutella and luscious cream cheese and it’s the perfect compliment to berries and bananas. People of all ages will love it! What do you make for a party when you don’t have a lot of time but you want to make something amazing? A dip of course! 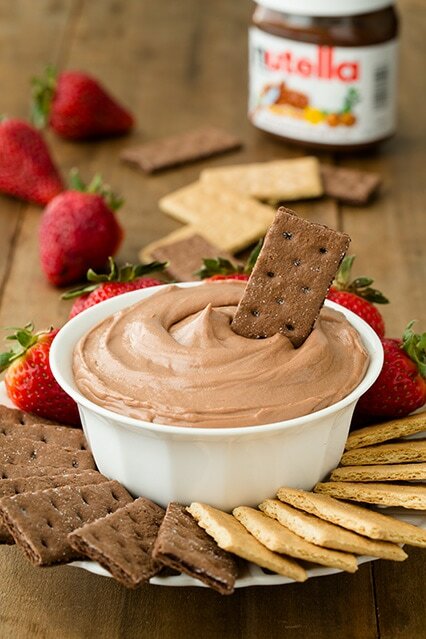 And not just any dip, this four ingredients Nutella Cheesecake Dip. 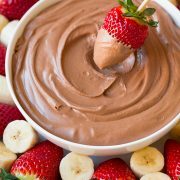 I was considering making a chocolate dip but I had some Nutella sitting there and I decided why not a make a Nutella dip instead, then you still get the chocolate your craving plus an upgrade from that incredible hazelnut flavor. I also love cheesecake so it had to be. Want to see how easy this dip recipe is? Watch the video! Once you make this you’re going to start dreaming about this stuff its so good. Look at the four ingredients and tell me how it could not be good. Nutella, cream, sugar, cream cheese. It’s a given. 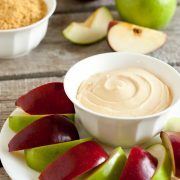 A perfectly tempting, easy to make fruit dip that will leave everyone craving more! 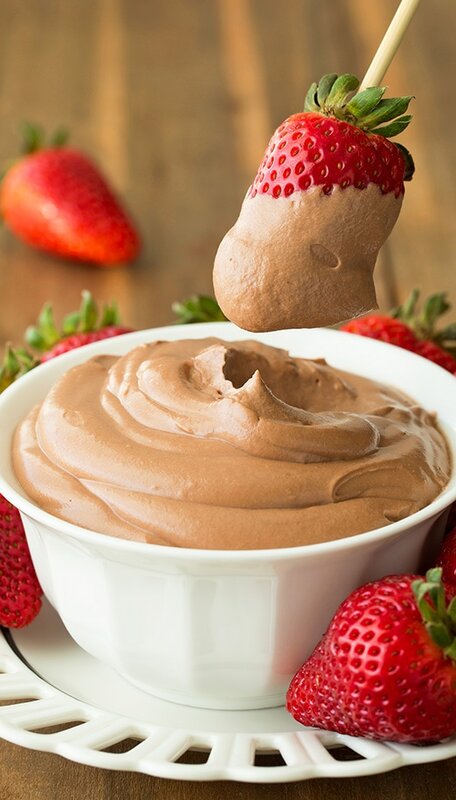 This is brimming with a rich chocolatey cheesecake flavor thanks to the irresistible Nutella and luscious cream cheese and it's the perfect compliment to berries and bananas. People of all ages will love it! In a mixing bowl, using an electric hand mixer, whip heavy cream until stiff peaks form. In a separate mixing bowl, whip cream cheese and powdered sugar until smooth, about 1 minute. Add Nutella and blend until well combined. Add half of the whipped cream and gently fold mixture until nearly blended then add remaining whipped cream and gently fold mixture until well blended. Serve with strawberries or graham crackers. Store in refrigerator in an airtight container. I left out the powdered sugar because I wanted the sweetness of the strawberries to also come through.